About 50% of people develop a skin tag at least once in their lifetime. Skin tags or acrochordons are non-cancerous growth which appears as a small bump of skin stalk hanging outside. Though the exact root cause is unknown, dermatologists believe that – skin tags develop when the collagen and blood vessels are trapped under the folds of skin. That is why they are usually found on the neck, hands, groin, face or under the breasts. People who suffer from diabetes, obesity or pregnant women are also likely to develop skin tags. Though skin tags are harmless, they can cause pain, irritation and sometimes even bleed on frequent contact. There are several counter medications and surgical procedures to remove skin tags but they pose more harm than good. However, you can easily get rid of them safely at home with some natural ingredients like baking soda. Is Baking Soda Really Effective in Removing Skin Tags? Baking soda is a powerful exfoliant that breaks down and removes the cluster of dead skin cells and tissues that form skin tags without damaging the rest of the skin. Baking soda is a powerful astringent. It enables the skin under the skin tag to regain its lost elasticity and narrows down the blood supply to the skin tag. The skin tag then dries from inside and falls off. Baking soda consists of high antiseptic and anti-bacterial properties. They reduce the inflammation and clear out the skin tags caused by HPV (In some cases HPV can cause skin tag). 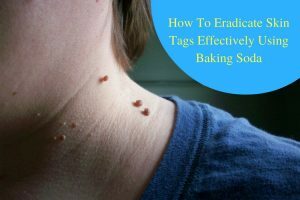 How to Use Baking Soda for Skin Tags? Given below are tested ways to clear out skin tags using Baking soda alone or in combination with other natural ingredients. You can try any one as per your preference. Warm some water in a small bowl. Add baking soda to it until it forms a paste like consistency. Apply on the affected area and gently rub in circular motion. Leave the application for another few minutes and rinse off with lukewarm water. Repeat the process 2-3 times a day till the skin tag falls off. Castor oil is a natural emulsifying agent. It can dry out a skin tag from within and eliminates it without any residual scar or mark. Combine 1 tablespoon of baking soda and 2 tablespoons of castor oil to form a paste. Apply this paste on the skin tags. Cover the lesion with a bandage and leave it on for the night. Remove the bandage next morning and clean the area with lukewarm water. Repeat daily at night until the tag falls off. Lauric acid present in coconut oil is a powerful anti-microbial that destroys viruses, fungi and bacteria causing skin tags. Add 2 teaspoons of coconut oil and 1 teaspoon of baking soda to a small bowl. Mix it well and store it in the freezer for 30 minutes. Now, apply the paste on the skin tags and cover with a bandage. Leave it on overnight and wash off the area with lukewarm water the next morning. Repeat this remedy once every night for a couple of weeks. Acetic acid present in apple cider vinegar breaks down the cluster of cells that form the skin tag and removes them naturally. Add a teaspoon of baking soda to 2 tablespoons of apple cider vinegar. Mix well until the baking soda dissolves. Soak a cotton ball in this mixture and apply it on the skin tag directly. Secure it with a bandage or cotton gauge and leave it on for 3 to 4 hours. Next, wash the area with lukewarm water. Repeat this remedy 3 times a day for a few weeks. The highly acidic nature of tea tree essential oil dries out the skin tags from inside and makes them to fall off naturally. The antiseptic property of tea tree oil also protects the skin against infection after the skin tag falls off. Make a solution by adding 1 tablespoon of baking soda to a 1/2 cup of water. Dip a cotton ball in this solution and squeeze out the excess water. Pour a few drops of tea tree oil on the wet cotton ball. Use this cotton ball to wipe the skin tag. Hold the cotton ball over the skin tag for 5 minutes. Leave it on for a couple of hours and then wash off with water. Reapply this remedy 2 to 3 times a day for a few weeks. Garlic is known for its natural antimicrobial, anti-bacterial and anti-fungal properties. The enzymes present in garlic help to remove skin tags by drying them out from within. Take 3 to 4 cloves of fresh garlic and crush them to make a paste. Add a teaspoon of baking soda and a few drops of water to it. Mix well to form an ointment. Apply it on the skin tag, secure with a bandage and leave it on for 2 hours. Repeat this remedy twice a day till the skin tag falls off. 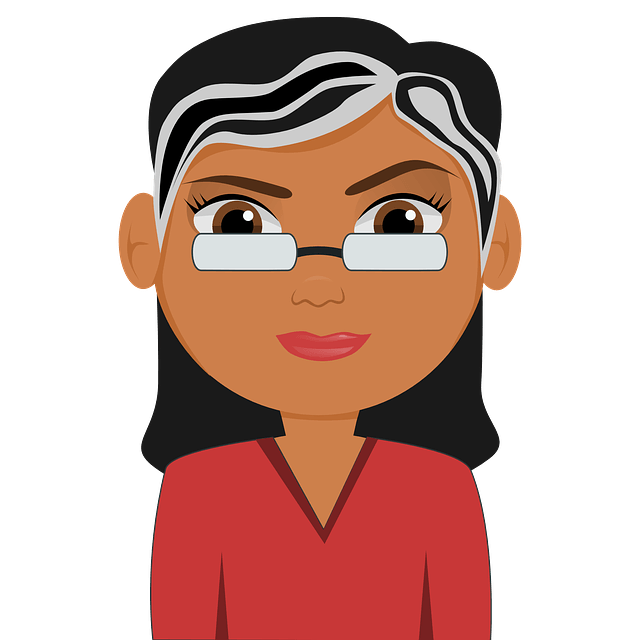 Note – Raw garlic can cause skin irritation, so you can apply a thin layer of petroleum jelly on the surrounding area of the skin tag to protect it against irritation. Citric acid present in lemon juice dissolves the cluster of cells and tissues that form the skin tag and breaks it down with regular application. Add 2 tablespoons of fresh squeezed lemon juice to a tablespoon of baking soda. Mix it using a spoon and apply it directly over the skin tags. Leave it on for a few hours and then wash the area with water. Reapply this remedy 1 to 2 times a day till the skin tag falls off. Fenugreek seeds contain powerful antioxidants that promote the removal of dead skin cells and tissues that make up the skin tags. Soak a tablespoon of fenugreek seeds in water for a few hours. Crush the seeds to make a paste and add a teaspoon of baking soda to it. Mix both the ingredients well and apply it generously over the skin tags. Leave it on for a couple of hours and then wash off with lukewarm water. Follow this process 1 to 2 times every day till the skin tags are gone. The acidic nature of pineapple juice and the enzymes break down the cluster of cells that form the skin tags and disperse them evenly without causing any skin irritation. Cut a slice of pineapple into small pieces and crush them to extract the juice. Add a teaspoon of baking soda to the juice and mix well. Dip a cotton ball in this mixture and apply it over the skin tag. Leave it on for a few minutes and then discard the cotton ball. Let the mixture dry up on its own and then wash off with water. Repeat this remedy 2 to 3 times every day for a couple of weeks. The hormones Auxin and Gibberellins present in aloe vera gel have healing and anti-inflammatory properties that remove dead skin cells that form the skin tags. It also speeds up the healing process. Cut off a leaf from an aloe vera plant and extract the gel. Add a teaspoon of baking soda to 2 teaspoons of aloe vera gel and mix it using a spoon. Apply this poultice on the skin tags and leave it on for a couple of hours. Reapply this remedy twice every day till the skin tags are gone. Baking soda can be excessively drying for skin, so it is recommended to keep your skin moisturized using creams and lotions after trying the method. In case of an injury or a cut near the skin tag, any topical application upon the lesion must be postponed. As it may lead to further infection. Be careful while applying baking soda remedies to skin tags present on eyelids because it can cause a lot of burning and irritation if it gets into your eyes. If baking soda gets into your eyes, wash your eyes with plenty of water for 5 – 10 minutes and poursome tear drops. Maintain healthy body weight, because skin tags are more prevalent among overweight people. Apply medicated powder to your legs, groins, armpits and under the breast to reduce friction. Avoid wearing tight clothing that continuously rubs against your skin. Drink plenty of water and follow a diet rich in fiber and antioxidants. Avoid foods high in fat, sugar, caffeine and processed foods. Try out these tested methods for removing skin tags using baking soda and do let us know which one worked best for you. Do you have any remedies for skin tags using natural ingredients? Then please share it with us in the comments section. Yes, application of baking soda more than 3 times in a week can damage the skin texture and make the skin too dry. The remedies on this article are easy to obtain and most of them I already have them at home. I use baking soda to remove skin tags. It works as a mild exfoliate to help remove the skin tags easily. Thanks for sharing. Will any of these help remove fat cyst from a k9 or dose any one know of any that will that you can do at home?? Any help would be appreciated. Hi, is it just as effective to rub coconut oil on skin tag and dust baking Soda on with a makeup bush? It’s really easy to apply and the baking Soda stays on all day.